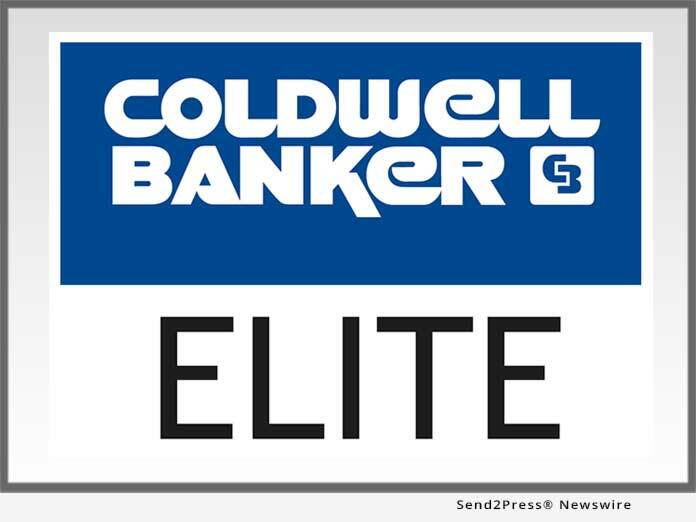 STAFFORD, Va., Feb 13, 2019 (SEND2PRESS NEWSWIRE) -- Coldwell Banker Elite has been named a Platinum Award winner by Cartus Broker Services for their outstanding performance during the past year. The award will be presented at the 2019 Cartus Broker Network Conference, held March 17-19 at The MGM Grand in Las Vegas. Cartus Corporation is a worldwide leader in employee relocation solutions. Platinum is the highest level of the Excellence Awards presented to principal brokers. Excellence Award recognition is based on performance results related to a wide variety of metrics including customer service, cost management, and effective analysis and marketing of homes. "Being presented with The Platinum Award is a recognition of extraordinary accomplishment," said Mike Brannan, Cartus Senior Vice President, Broker Services. "To earn this distinction, a broker must have successfully demonstrated outstanding performance in a variety of areas, including addressing customer needs, understanding local market conditions, and executing best business practices so our customers may achieve their real estate goals. Coldwell Banker Elite has delivered the very highest levels of results to both their customers and the Cartus Broker Network, and ultimately, their performance has resulted in our ability to provide great value to our clients, their relocating employees, and to our Affinity organizations and their members." "We're honored to receive a Platinum Award," said Conor Breen, Director of Relocation Services for Coldwell Banker Elite. "Our team has spent the last year fully dedicating themselves to achieving the best results for Cartus, their clients and their customers, as well as our brokerage. I'm grateful to our team for all of their efforts, and I want to thank Cartus for this honor." For more than 60 years, Cartus has provided trusted guidance to organizations of all types and sizes that require global relocation solutions. Providing the full spectrum of relocation services, including language and intercultural training, Cartus serves more than half of the Fortune 50 and has moved employees into and out of 185 countries. Cartus is part of Realogy Holdings Corp. (NYSE: RLGY), a global leader in real estate franchising and provider of real estate brokerage, relocation and settlement services. To find out how our greater experience, reach, and hands-on guidance can help your company, visit www.cartus.com; read our blog; or click http://www.realogy.com/ for more information.